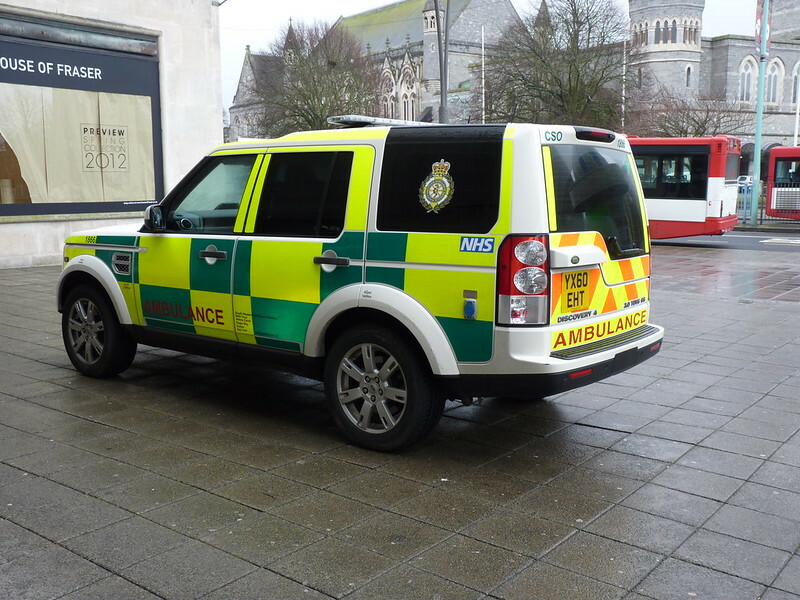 Been a while since I covered any ambulances in Plymouth, but this one is really smart so here it is! 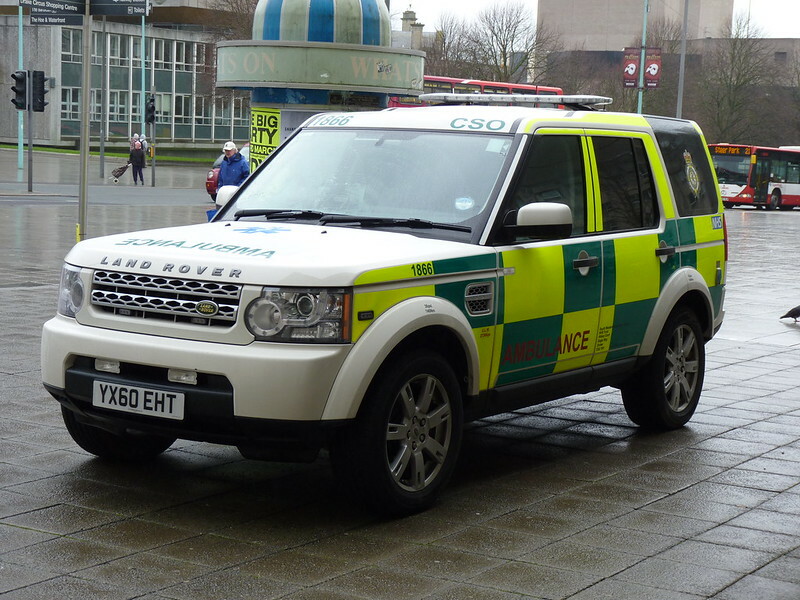 It's nice, but I don't agree with having a Land Rover as a Rapid Responce Vehice.... It just seems to big for it's job. The old Renult Clio vans were better as they could squeeze in & out of the traffic easily. I thought Plymouth had responders on cycles for City Centre use. Jared - I would agree that in inner-city applications bikes and small vehicles may be more effective. However for the service as a whole I think it is good to have a mix of vehicles, suited to different scenarios. The diverse nature of the terrain of the south west means that there are many locations where a 4x4 would be much more appropriate - if not essential. A 4x4 will also be available all year round whatever the weather and may well prove a valuable, if not life saving investment, in winter months. As an ambulance employee i can inform you that 1866 (Discovery) was purchased in response to the bad winter that we had 2 years ago. Its aids winter resilience and not only operates in the city but available for rural areas such as the Moors. Thanks for covering those points. With a stretcher fitted, that is a great idea - I can see the benifits of that! i used to like the old mk3 transit mountains with their v6 engines!